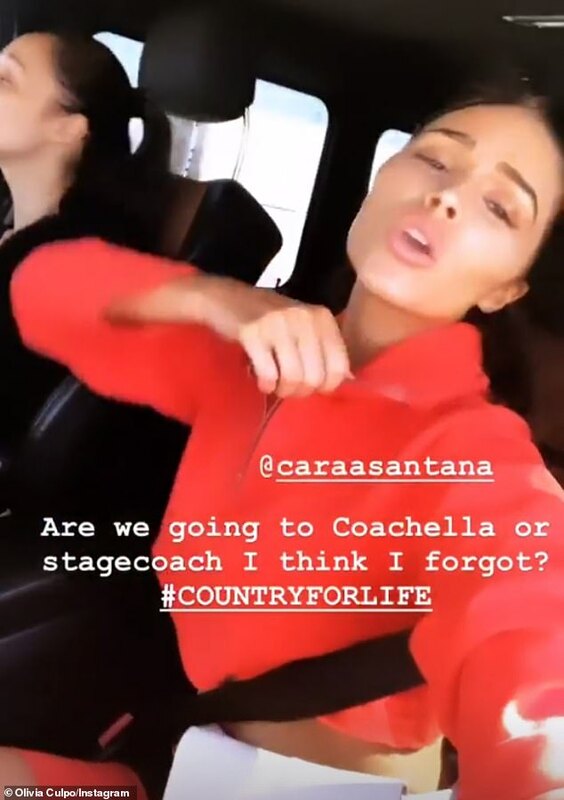 Alessandra Ambrosio lit up Coachella Music Festival on Saturday night, as she stepped out with a pal wearing a neon pink fur jacket. 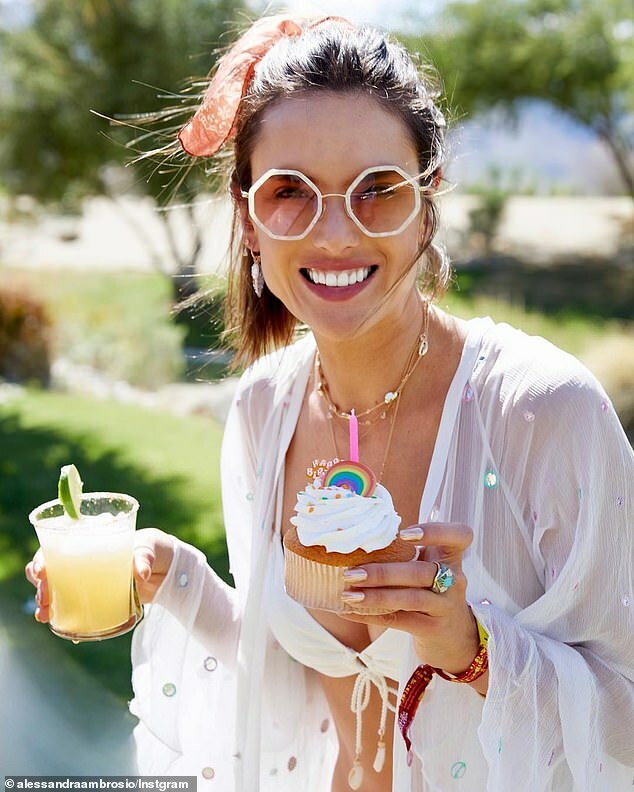 The Victoria’s Secret model, who turned 38 on Thursday, wore the coat over a white bralet, teasing her toned waist beneath. 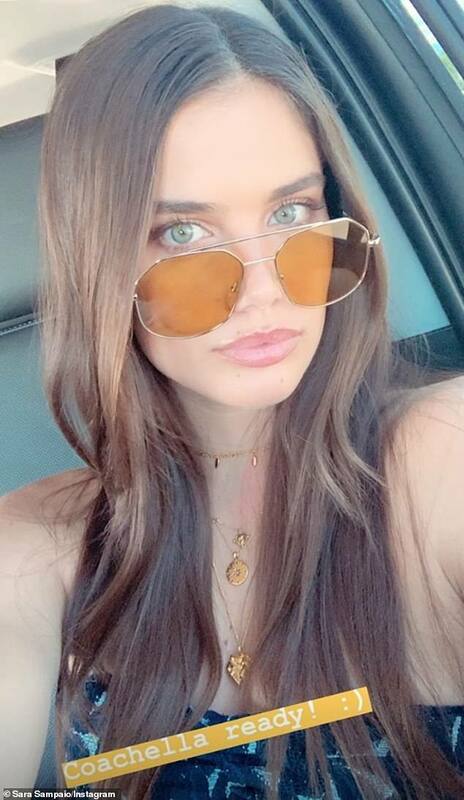 Fellow Victoria’s Secret Angel Sara Sampaio had teased on her Instagram Thursday that she ‘might not take my bikini off all weekend!’ – and nearly lived up to it Friday. 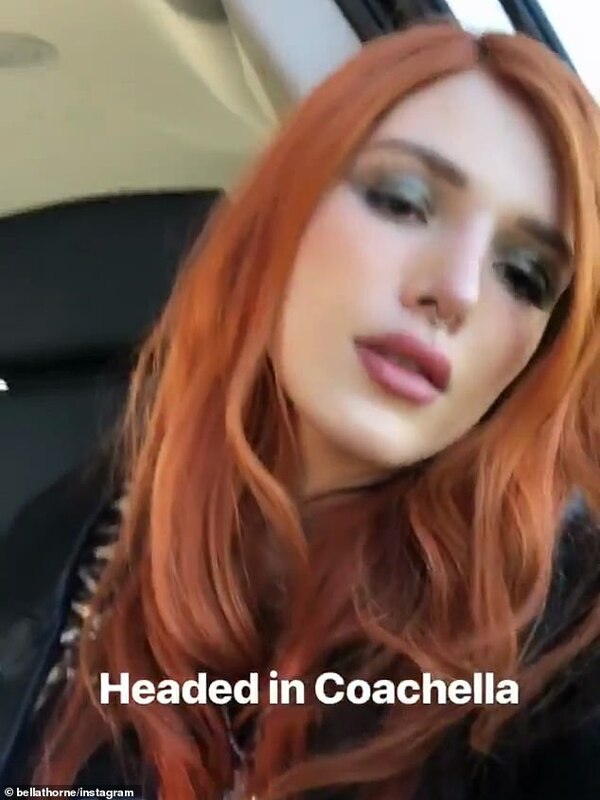 Bella Thorne treated viewers of her Insta Stories to smoldering selfies of her ‘Headed in Coachella,’ her head leaning against the window of her vehicle. 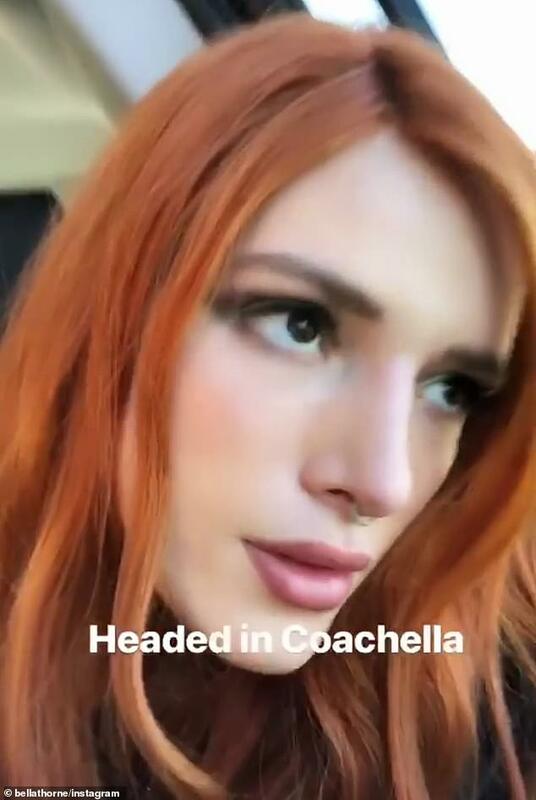 She will be taking an active role in the weekend’s festivities, hostessing a party that will feature a musical performance by The Soundflowers. 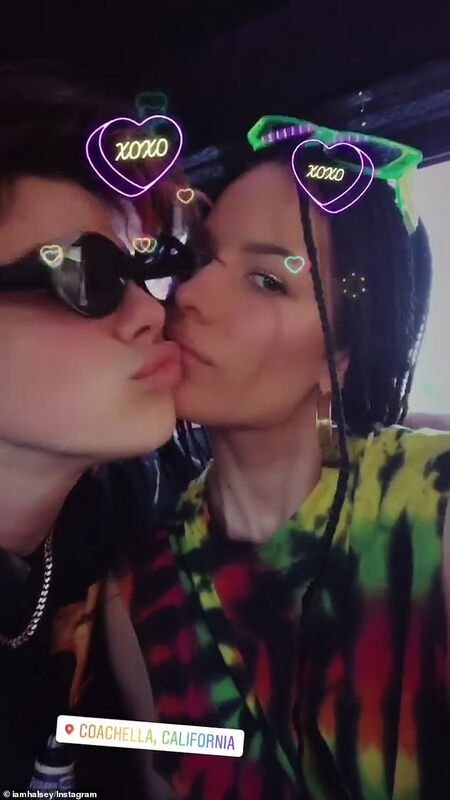 This is the name for the dynamic duo of Paris Jackson – daughter of MIchael Jackson – and her boyfriend Gabriel Glenn. 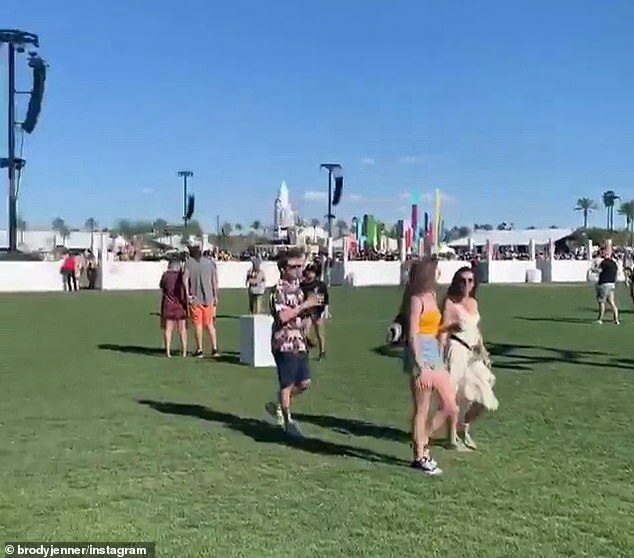 Gigi Hadid was one of the highest-profile guests at the music festival, and could be spotted on celebrity makeup artist Patrick Ta’s Insta Stories.